What if you could discover breakthrough innovations in exoskeletons and prostheses with greater confidence and ease, and a lower cost? Humotech’s Caplex™ system gives you the freedom to explore, experiment, and innovate with less risk and shorter development time. 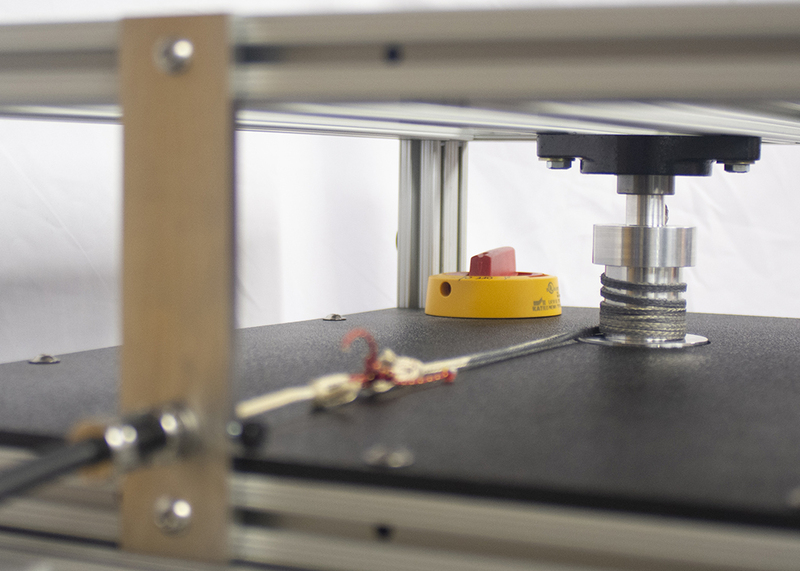 With Caplex, you test your ideas first, then build. 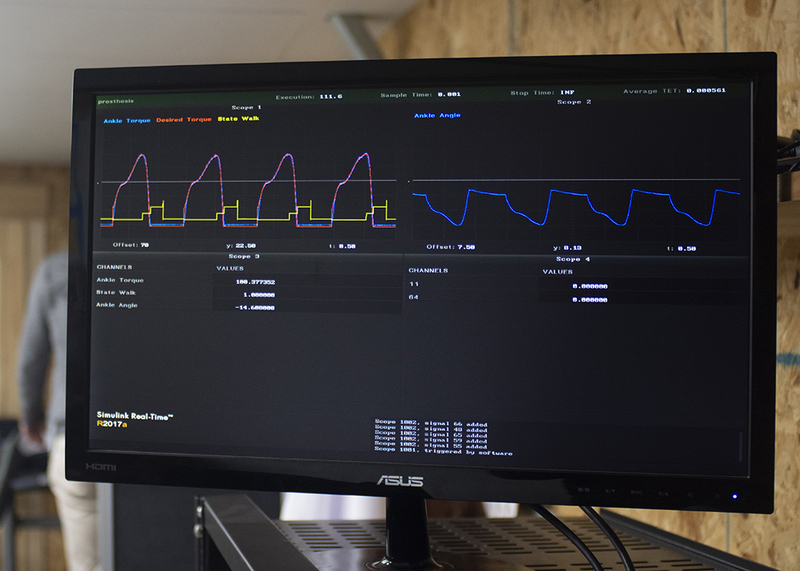 Caplex is a programmable, high-performance system that lets you emulate the real-world physical characteristics of the device or concept you’re evaluating. Unlike a simulation, the user has the physical sensation of wearing different assistive devices (or device modes) while using just one device; they don’t have to switch devices. The devices are lightweight and wearable, because our powerful (and heavy) robotic components are located off-board; users don’t have to carry bulky prototype hardware while they’re testing the device. 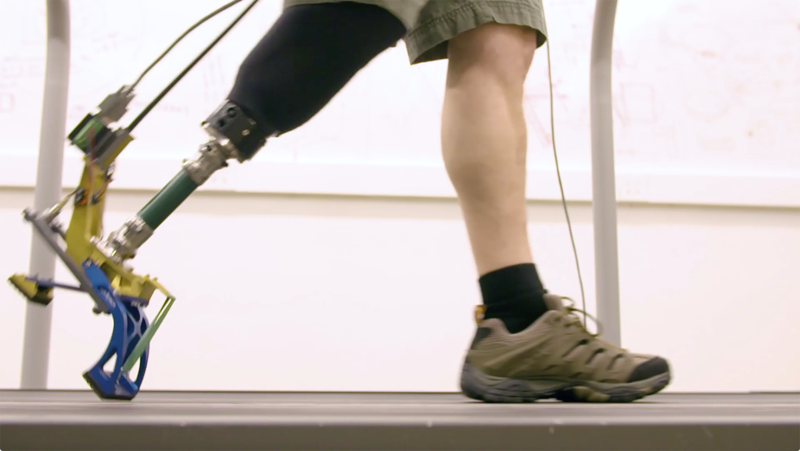 The off-board components connect via a flexible Tether to your choice of Wearable Devices—an ankle-foot prosthesis, for example—which provides significantly higher performance than is possible with non-tethered alternatives. You specify conditions of interest through the operator interface of the Control System (and can change those conditions on the fly). The controller sends the information to the Actuator Unit. The actuator pulls the cable inside the Tether, which is typically force-controlled to systematically vary the behavior of the Wearable Device. The user knows how the device feels every step of the way because with Caplex, they experience the physical sensation of wearing the device you envision. When you change conditions, the user can respond with immediate subjective feedback. And of course, you can capture whatever objective quantitative data you are interested in as the user moves. This allows you to test ideas in days or weeks, informing and improving your prototype design before you’ve spent precious time and money on start-up. Caplex is designed for use with different kinds of wearable assistive devices. For example, you can swap out a Humotech PRO-001 Ankle-Foot Prosthesis for an EXO-001 Ankle Exoskeleton or even an end-effector of your own design. No matter what type of assistance you are exploring, Humotech has a solution. Are you a researcher pursuing the next breakthrough in exoskeleton or prosthesis technology? Humotech is dedicated to advancing R&D efforts to discover breakthroughs that move the entire industry forward. With our collaborative approach and flexible Caplex system, you can test ideas first, before spending time and money building a prototype. Are you a professional working in the prosthetics and orthotics field? Humotech is leading research, including clinical trials, to test Caplex’s ability to improve patient outcomes. We envision that tomorrow’s clinics will use Caplex to explore device options quickly and effectively, leading to better results, efficient billing and reimbursement, and reduced costs. Are you a patient curious about new developments in prosthetics? 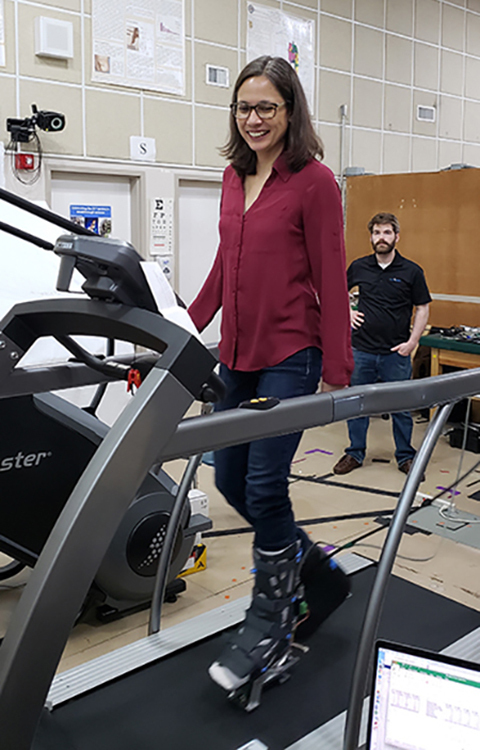 Humotech is spearheading research to find out if Caplex can help you “test drive” a wide variety of assistive devices without the difficult and time-consuming “try, try again and hope for the best” approach. of human physical performance . . .
You’re pushing the boundaries of science and technology in your search for more effective assistive devices—prostheses, orthoses, and exoskeletons—that improve the health, mobility, and independence of patients who have reduced mobility. You’re exploring new applications, including exoskeletons, that protect bodies and enhance physical performance above “normal” levels. You’re experimenting with novel approaches, new control techniques, sensors, and new materials that hold promise to improve quality of life and patient outcomes. You could start with a traditional prototype, a process that begins with making your best guess for the design (how much should it weigh? motorized, or stick with passive behavior? what kind of motor? how stiff should the springs be? what about a gearbox?) and ends months or years later, when you test your new prototype and discover that one (or more) of those best guesses was wrong. If you can’t squeeze something interesting out of the prototype, you’re back to the drawing board, older and only a little wiser. Or you could start with the Caplex system. With Caplex, you have the freedom to explore, experiment, and innovate with less risk and shorter development time. You test ideas in days or weeks, informing and improving your prototype design before you’ve spent precious time and money on start-up. Humotech’s collaborative approach includes training your research team as well as installing and testing the Caplex system on-site. With Caplex, you test ideas in days or weeks, informing and improving your prototype before spending precious time and money on start-up. Humotech is committed to helping researchers discover and develop breakthroughs that will move the entire field forward. Humotech has developed close working relationships with manufacturers to create precision parts for the Caplex system. These trusted partnerships allow Humotech to continually improve performance and develop leading edge products. The off-board Control System allows researchers to change conditions on the fly and capture quantitative data in real time from Caplex assistive devices or unique custom devices. complete system or may be purchased separately. 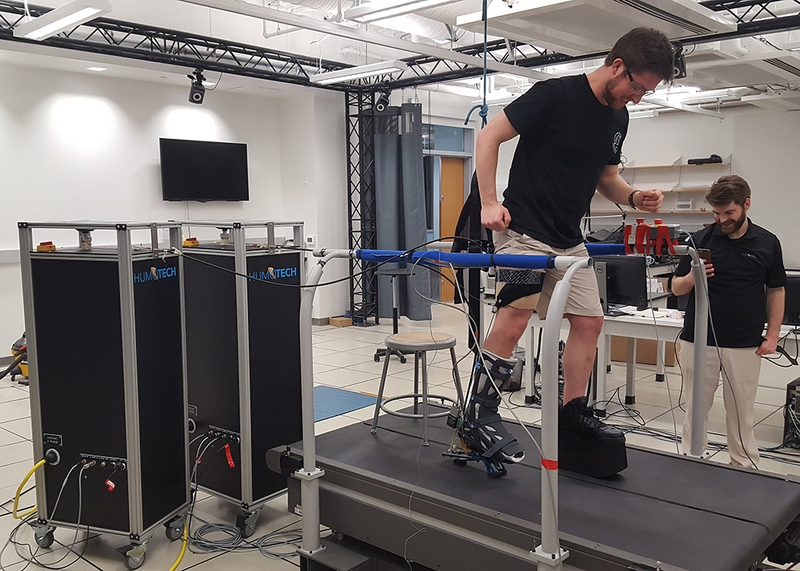 The Caplex System is a testbed for emulating the mechanics of wearable assistive devices, including prostheses, orthoses, and exoskeletons. The System includes two off-board components—the Control System and the Actuator Unit—plus the Wearable Device worn by the user. A flexible Tether connects the Actuator Unit to the Wearable Device. All Caplex components are available as a complete system including one or more Wearable Devices or may be purchased separately. void the warranty if you go under the hood. Collaboration is central to Humotech’s business philosophy. We thrive in the space where tough engineering challenges meet real human problems—the space where engineering solutions can solve those real-world human problems. We’re not stingy with our knowledge or your access to it. There’s no “academia–vendor” conflict. You won’t void the warranty if you open the hood. Within reasonable limits, you can modify our Caplex system to best suit your needs. We’ll even help with that, if you’d like us to. Our goal is to enable you to do the work that moves the entire field forward. New university or research institution laboratory? Our collaboration begins with a conversation: What questions are you considering? We’ll help you determine whether a full system or components-only approach is best for you. Are you pursuing research grants? We’re happy to provide the specific information you need for grant applications. Concerned about system maintenance? We’ll help get things working again if Caplex ever breaks down; you don’t need to have a robotics or emulation expert on your team. You’ve been researching prosthetic and orthotic devices and exoskeletons long enough to understand the challenges; no doubt you’ve experienced them first-hand. You’ve built some amazing prototypes over the years, but you’re ready for a system that lets you get better results faster, without the risks of expensive, time-consuming start-up. Our collaborative approach helps you identify which combination of products, from single component to complete Caplex system, best meets your needs and budget. Humotech’s emulator technology is truly cutting-edge and game-changing. We were so thrilled when we were able to purchase and get the system installed in Omaha. I know that Humotech’s emulator will expand our research capacity for prosthetic/exoskeleton and clinical research projects. These projects have also helped attract many talented students who are interested in robotics-based research. Dr. Caputo and his team are very helpful, and they have helped us tremendously when we were first learning to use the system. We are truly excited to be starting new projects with the Humotech Caplex system. 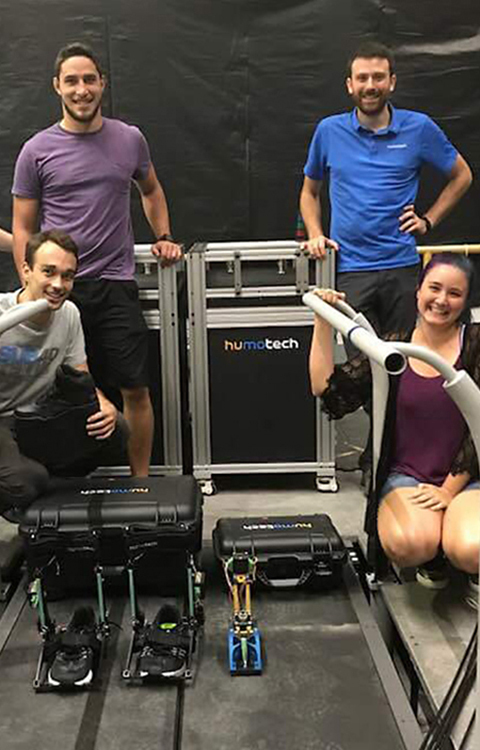 Humotech exoskeleton emulator technology allowed us to hit the ground running in biomechanics experiments without the need to invest time in prototyping exoskeletons. Dr. Caputo and his company have been very helpful in providing technical support with different aspects ranging from designing our custom controllers to improving experimental setups and sometimes even attending pilot testing sessions via video-conferencing. What I think is relatively unique in this field is that they can design custom end-effectors depending on the requests of different research groups. We love our Humotech actuator units; they are extremely powerful, well-built and reliable. They have saved us several person-years on engineering and allowed us to get to the scientific questions we're interested in more quickly. I'd recommend this product to anyone, and not just because Josh is a lab alumnus. As an undergraduate, having access to a Humotech system is incredibly helpful since I can participate in the development of controls for exoskeletons without the need to spend time building a full device. Humotech helps our lab test models for prosthetics and exoskeletons in order to save time and money. Thanks for all you do. I’m a graduate student working on a powered knee exoskeleton with Dr. Aaron Young at the Exoskeleton & Prosthetic Intelligent Controls Lab at Georgia Tech. Humotech develops innovative, smartly designed mechanical and controls systems for wearable robotic devices. The HuMoTech system allows me to modify different parameters without having to change the exo or any of its parts. It’s a great time saver and I can start collecting much sooner than if I had to design or change something every experiment. Humotech is the reason I haven’t created a rat’s nest of wires and safety violations in our lab trying to cobble together a motor system. Keep up the good work! I’m a graduate student working on powered hip exoskeleton at Georgia Tech. We recently got the 6 DOF Humotech Caplex system, which will be used extensively for research from now on. I really like both the device/research relating to Bowden cable-driven actuators. 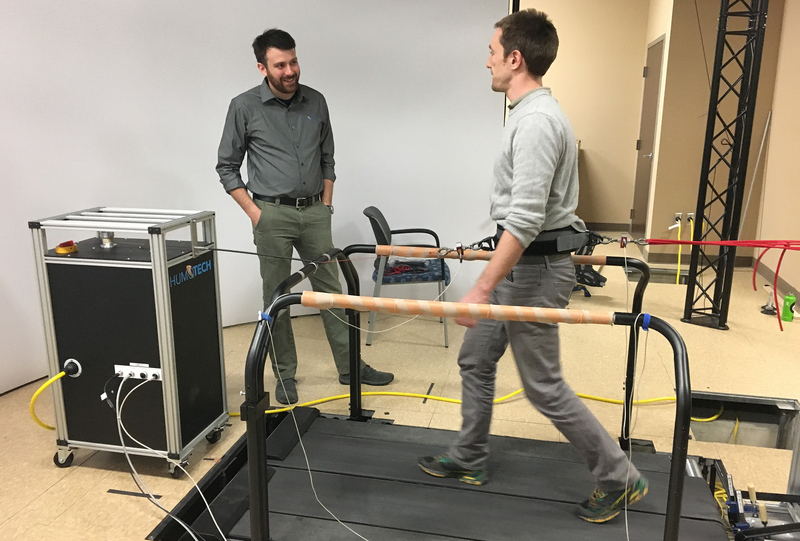 HuMoTech tools have bridged the gap for more streamlined, effective, and efficient research developments that will drive the walking improving results of tomorrow. Are you ready to push boundaries? Copyright 2019 © Human Motion Technologies LLC d/b/a Humotech™. All rights reserved.